Please read these terms and conditions (“Agreement”) carefully before accessing or using the Cloud Services Platform web portal or any related applications, content, technology or information made available through the portal (collectively, “CSP”). BY CONTINUING OR USING CSP, CUSTOMER AGREES TO BE BOUND BY THESE TERMS AND CONDITIONS. “Service” refers to any network, data feed or other online service made available or accessed through CSP. “Customer” refers to you, the individual or entity using or accessing CSP or a Service. If CSP or a Service is being used or accessed on behalf of an entity by a representative authorized to register or use CSP or the Service on behalf of such entity, then “Customer” refers to such entity. This is a legal agreement between Customer and Infoblox Inc. (“Infoblox”). All use of CSP and Services is subject to this Agreement. These terms may be modified, supplemented or updated by Infoblox from time to time; Infoblox will post a notification on the portal in the event of a change to these terms. Customer’s continued use of CSP after a revision to these terms is posted constitutes Customer’s acceptance of the revision with respect to CSP. If a revision affects a Service provided by Infoblox, then Customer’s renewal of the Service after posting of the revision constitutes Customer’s acceptance of the revision with respect to the Service. 1. Additional Terms. Specific Services such as the ActiveTrust® Cloud Service or other analytics detection modules or threat data feeds may be subject to additional terms and policies published for the Service (“Additional Terms”), as referenced in the Service listing or as included in an exhibit to this Agreement. New Additional Terms may be added to this Agreement from time to time as new Services are made available. If there is any conflict between the terms in this Agreement and the Additional Terms for a Service, then the Additional Terms govern in relation to that Service only. The Additional Terms for the ActiveTrust® Cloud Service are included as Exhibit A. 2. Account Management. To access or use CSP, Customer must have a valid account. Customer will be prompted by CSP or contacted by email to either create an account or to login using Customer’s account credentials for CSP. If Customer has purchased a Service from Infoblox, Customer will be notified via email of the Service purchased and any additional codes required to access the Service. Customer is responsible for ensuring Customer’s email and other account information remain current, for safeguarding Customer’s account access information and for all activities that occur under Customer’s account. Customer must immediately notify Infoblox of any unauthorized use, data access or other security breach under Customer’s account. 3. CSP Portal and Services. Customer may access and use CSP and each Service for which Infoblox issues Customer an access code, which includes access and use by Customer’s employees, agents, contractors, corporate affiliates and outsourced service providers in each case that are authorized by Customer to use CSP and Services on Customer’s behalf (collectively “Customer Users”). Designated software may be made available through CSP for purposes of accessing or using a Service (“Software”). The Software is licensed for downloading, installation and use in object code form by Customer and Customer Users only as necessary for access and use of the associated Service in accordance with this Agreement and the documentation issued by Infoblox or the Service provider. Except for any included support that is specified in the Additional Terms or published documentation for the Service, purchase of a Service does not include support or implementation for a Service or related Software. From time to time, Infoblox may update the functionality and user interface of CSP or a Service, add new features, change the access configuration or update the related Software. In such event, this Agreement shall also apply to any such functionality updates, new features, changes or updates provided by Infoblox for CSP, the Service or Software, as applicable. Infoblox generally sells its products and services through authorized resellers; if Customer purchases a license to use a Service from an authorized reseller, then Customer shall be responsible for paying the authorized reseller all applicable fees. Services are not subject to cancelation and fees are non-refundable. 4. Third Party Services and Outside Licenses. Services and/or the data made available through a Service (“Licensed Data”) may be provided by Infoblox or a third party Service provider, as identified in the posted Service description. In some cases, third party Services may permit Customer to make use of “bring your own licenses” or subscription access codes that Customer has separately obtained from a third party licensor outside of CSP (“Outside Licenses”). Outside Licenses are subject to any additional restrictions and limitations imposed by the licensor from whom Customer obtained the Outside License. In order to make use of an Outside License through CSP, there must be a corresponding CSP listing for the same Service which is enabled to accept activation by an Outside License. Not all Outside Licenses may be used to obtain Services through CSP. Infoblox authorizes use of Outside Licenses in its sole discretion and reserves the right to deny use of Outside Licenses through CSP. Infoblox makes no representations or warranties regarding third party Services or Licensed Data and is not obligated to provide support for third party Services, whether or not purchased through CSP. 5. Use of Licensed Data. For Services purchased from Infoblox, Customer is granted a license during the Subscription Term to access and use the Licensed Data provided, solely for Customer’s internal use in protecting Customer’s own networks or as otherwise authorized in an agreement signed by Customer and Infoblox. Certain Infoblox products may be bundled with subscriptions to specified Licensed Data. If Customer accesses Licensed Data under a product bundle license then Customer may only use such Licensed Data with the product unit for which the Licensed Data is provided; if Customer wishes to use such Licensed Data with other units or third party products, Customer must purchase a separate license for such use. If Customer is receiving Licensed Data under an Outside License, use is subject to the terms of the Outside License, and Customer is responsible for compliance with the restrictions and limitations of the applicable Outside License. 6. Restrictions. Customer shall have no right to, and shall not, directly or indirectly: (i) disclose, distribute, market, rent, lease, assign, sublicense, pledge, or otherwise transfer any portion of CSP, Software, Services or Licensed Data, in whole or in part, to any third party, or allow CSP, Software, Services or Licensed Data to be accessed or used by or on behalf of any third party except as necessary to allow Customer Users to access Services and/or use Licensed Data on Customer’s behalf; (ii) attempt to bypass any measures Infoblox or its licensors may use to prevent access to CSP, Software, Services or Licensed Data, or otherwise interfere with, compromise the system integrity or security of CSP, Software, Services or Licensed Data, or decipher any transmissions to or from the servers running CSP or Services; (iii) knowingly upload invalid data, viruses, worms, or other software agents through CSP or any Service; (iv) modify, alter or create any derivative work based upon CSP or any Software or Service; (v) reverse engineer, decompile, disassemble or otherwise seek to discover any underlying source code or algorithms of CSP or any Software or Service, except to the limited extent that applicable law expressly prohibits reverse engineering restrictions; (vi) use CSP or any Software, Services or Licensed Data for any unlawful, unauthorized, fraudulent or malicious purchase; (vii) use CSP or any Software or Service for purposes of competing with Infoblox, including for competitive analysis, benchmarking or marketing; (viii) remove or alter any copyright, trademark, or other proprietary notices, legends, symbols, or labels appearing on or in CSP, Software, Services or Licensed Data; or (ix) use CSP or any Software or Service except in accordance with this Agreement, any applicable Additional Terms and the documentation published by Infoblox, or the Software or Service provider, as applicable. Customer agrees that Customer will ensure and remain responsible for Customer Users’ compliance with the terms and restrictions of this Agreement. All rights and licenses granted under this Agreement are non-exclusive, and except as stated herein, non-assignable and non-sublicensable. 7. Subscription Term and Renewal. The term of each Service purchased from Infoblox will commence on the date that Infoblox sends Customer email notification of access for the applicable Service or otherwise provides access to the Service, and will continue through the end date stated in the notification from Infoblox (the “Subscription Term”), which will correspond to the Service duration indicated in the order received by Infoblox. Except as otherwise provided in the Additional Terms for a Service, the Subscription Term will not automatically renew. Infoblox will provide notice prior to the end of the Subscription Term. If Customer does not purchase an additional subscription period to extend the Subscription Term, then upon expiration of the Subscription Term, Customer’s right to access the Service and use any related Software and Licensed Data will terminate upon expiration of the Subscription Term and Customer will cease all use of the Licensed Data. Infoblox may change or increase fees for the applicable Service with respect to any renewal term by providing at least 60 days prior written notice of such change. The term of an Outside License will be the term Customer has separately purchased for the Outside License; Infoblox will not provide notice of expiring Outside License terms, and will not be responsible for termination or deactivation of Services at the end of the Outside License term. Accessing an Outside License through CSP will not affect the license term or scope originally purchased. If Customer incurs fees for use beyond the term of the Outside License or for use beyond the scope of the Outside License, Customer agrees to be solely responsible for payment of such fees and to fully indemnify and hold Infoblox harmless against any a third party claims for fees relating to Outside Licenses used by Customer through CSP. 8. Termination and Suspension. Infoblox may terminate this Agreement and/or Customer’s access to all or any part of CSP or a Service in the event of Customer’s material breach of any provision of this Agreement or Customer’s failure to pay applicable fees, which is not remedied within 30 days after written notice (including email to Customer’s account contact). In addition, Infoblox may suspend Customer’s access to CSP or any Service without prior notice in the event that Infoblox or its licensor believes suspension is necessary to avoid harm or significant risk to CSP, Services or other users, prevent illegal activity, or to comply with applicable laws, regulations or law enforcement requests. In such event, Infoblox will endeavor to provide written notice to Customer as soon as practicable. Infoblox may also suspend or terminate access to third party Services in accordance with instructions from the third party provider; Infoblox will not be liable for complying with such instructions. If no Subscription Term is in effect at the time, then Infoblox or its licensors may suspend or terminate this Agreement and/or Customer’s ability to access CSP or any portion thereof, without cause or prior notice. Section 1, 2 and Sections 6 through 19, as well as any accrued rights to payments and remedies for breach, shall survive any termination of this Agreement. Infoblox and its licensors shall incur no liability whatsoever for any damage, loss or expenses of any kind incurred by Customer or a third party arising from any suspension or termination which complies with this Agreement whether or not Infoblox or its licensors is aware of any such damage, loss or expenses. 9. Ownership. Infoblox and its licensors retain all ownership of and title to CSP, Software, Services and Licensed Data, including all content or other data generated by, derived from or accessed through CSP, a Service or Licensed Data, and any related intellectual property. Except for the limited rights stated in Sections 3 and 5 of this Agreement, no other rights or licenses, express or implied, are granted. Infoblox and its licensors reserve all rights not expressly granted herein. 11. Nondisclosure/Nonuse. Infoblox will not use or disclose Content except as permitted in this Agreement. Infoblox and its hosting providers have implemented commercially reasonable, industry-standard technical and organizational measures designed to secure Content from accidental loss and from unauthorized access, use, alteration or disclosure. The Licensed Data, Software and other non-public information included in CSP (“Infoblox Information”) is considered confidential information of Infoblox and its licensors. Customer will protect the Infoblox Information with the same degree of care it uses for its own confidential information (but in no event less than a reasonable degree of care), and will not use or disclose such confidential information, or allow any third party to use or access such confidential information, except for Customer Users as permitted in this Agreement. The obligations in this Section 11 shall not apply to information that (a) is in the public domain, other than due to the receiving party, (b) was in the party’s possession prior to receipt in connection with this Agreement; (c) resulted from the party’s own research and development, independent of information received under this Agreement, as evidenced by records; or (d) is independently obtained by the receiving party from a third party unrelated to this Agreement and without obligation of confidentiality. If a party is required to produce any such confidential information in compliance with applicable law or a court order, the party will, to the extent permitted by the process, provide reasonable notice to the disclosing party and an opportunity for the disclosing party to attempt to preclude or limit such production. Due to the unique nature of the confidential information, there may be no adequate remedy at law to compensate a party or its licensors for the breach of such confidential information; any such breach may result in irreparable harm that would be difficult to measure; and, therefore, that upon any such breach or threat thereof, the disclosing party shall be entitled to seek injunctive and other appropriate equitable relief, in addition to whatever remedies the party may have under this Agreement or otherwise. 12. Disclaimer; No Warranties. INFOBLOX AND ITS LICENSORS PROVIDE CSP AND ALL SOFTWARE, SERVICES AND LICENSED DATA “AS IS.” INFOBLOX AND ITS LICENSORS DISCLAIM ALL REPRESENTATIONS, WARRANTIES AND GUARANTEES, EXPRESS OR IMPLIED, INCLUDING BUT NOT LIMITED TO ANY IMPLIED WARRANTIES OF MERCHANTABILITY, FITNESS FOR A PARTICULAR PURPOSE OR NON-INFRINGEMENT, AND ANY CONDITIONS ARISING OUT OF COURSE OF DEALING OR USAGE OF TRADE. INFOBLOX HAS NOT AUTHORIZED ANY PARTY TO MAKE ANY REPRESENTATION, WARRANTY OR OBLIGATIONS ON BEHALF OF INFOBLOX. INFOBLOX AND ITS LICENSORS DO NOT WARRANT THAT CSP OR THE SOFTWARE, SERVICES OR LICENSED DATA ARE ERROR FREE OR WILL BE PROVIDED WITHOUT PROBLEMS OR INTERRUPTIONS. THIS DISCLAIMER SHALL APPLY EVEN IF THE EXPRESS WARRANTY SET FORTH ABOVE FAILS OF ITS ESSENTIAL PURPOSE. 13. Limitation of Liability. TO THE EXTENT PERMITTED BY APPLICABLE LAW, IN NO EVENT WILL INFOBLOX OR ITS LICENSORS BE LIABLE UNDER ANY CONTRACT, TORT, STATUTORY OR OTHER LEGAL OR EQUITABLE THEORY, INCLUDING NEGLIGENCE, FOR ANY INDIRECT, INCIDENTAL, PUNITIVE, SPECIAL OR CONSEQUENTIAL DAMAGES OF ANY KIND, INCLUDING LOST INCOME, REVENUE OR PROFITS, LOST OR DAMAGED DATA, SYSTEM DOWNTIME, OR OTHER COMMERCIAL OR ECONOMIC LOSS, ARISING FROM THE USE OF, OR INABILITY TO USE, CSP OR ANY SOFTWARE, SERVICES OR LICENSED DATA. THE FOREGOING LIMITATIONS OF LIABILITY SHALL APPLY EVEN IF INFOBLOX OR ITS LICENSORS HAVE BEEN ADVISED OF THE POSSIBILITY OF SUCH DAMAGES OR SUCH DAMAGES ARE FORESEEABLE. INFOBLOX WILL NOT BE LIABLE FOR ANY DAMAGES ARISING FROM SOFTWARE, SERVICES OR LICENSED DATA PROVIDED BY THIRD PARTIES, INCLUDING ANY ASSOCIATED BUGS, VIRUSES, TROJAN HORSES OR OTHER MALICIOUS CODE OR DEFECTS, WHETHER OR NOT ACCESSED THROUGH CSP. IN NO EVENT WILL INFOBLOX OR ITS LICENSORS’ TOTAL LIABILITY FROM ALL CAUSES OF ACTION AND UNDER ALL THEORIES OF LIABILITY EXCEED THE AMOUNTS RECEIVED BY INFOBLOX RELATING TO THE SERVICES GIVING RISE TO THE CAUSE OF ACTION OR, IN THE EVENT THAT INFOBLOX HAS MADE CSP AND THE SERVICES AVAILABLE TO CUSTOMER WITHOUT CHARGE, INFOBLOX’S AND ITS LICENSORS’ TOTAL LIABILITY WILL BE LIMITED TO $1000. THE FOREGOING LIMITATIONS WILL SURVIVE AND APPLY EVEN IF ANY LIMITED REMEDY SPECIFIED IN THIS AGREEMENT IS FOUND TO HAVE FAILED OF ITS ESSENTIAL PURPOSE. 14. Third Party Claims. Customer shall defend, indemnify and hold Infoblox and its licensors and their officers, directors, agents and employees harmless from and against any and all claims and allegations relating to Customer’s failure to comply with Outside License terms, breach of this Agreement or violation of any law. 15. Export Controls. Customer acknowledges that the Services and Software may be subject to the U.S. Export Administration Regulations (the “EAR”) and the sanctions programs administered by the Office of Foreign Assets Control (“OFAC”), and that Customer is required comply with the EAR and OFAC sanctions. Customer will not export or re-export Software or Services, directly or indirectly, to: (a) any country for which the United States has a trade embargo (currently including, but not necessarily limited to, Cuba, Iran, North Korea, Sudan, Syria and Crimea); (b) any user who Customer knows or has reason to know will utilize them in the design, development or production of nuclear, chemical or biological weapons, or rocket systems, space launch vehicles, and sounding rockets, or unmanned air vehicle systems; or (c) anyone on the U.S. Treasury Department’s list of Specially Designated Nationals or the U.S. Commerce Department’s Table of Denial Orders. Customer will not access CSP or any Software or Services from locations subject to embargo or comprehensive OFAC sanctions. In addition, Customer is responsible for complying with any local laws in Customer’s jurisdiction which may impact Customer’s right to import, export or use Software or Services. 16. Government Use. If CSP, Software, Services or Licensed Data is provided to any unit or agency of the United States Government, the following provisions shall apply: As defined in FAR section 2.101, DFAR section 252.227-7014(a)(1) and DFAR section 252.227-7014(a)(5) or otherwise, the software and documentation provided in connection with the Service are “commercial items,” “commercial computer software” and/or “commercial computer software documentation.” Consistent with DFAR section 227.7202, FAR section 12.212 and other sections, any use, modification, reproduction, release, performance, display, disclosure or distribution thereof by or for the U.S. Government shall be governed solely by the terms of this Agreement and shall be prohibited except to the extent expressly permitted by the terms of this Agreement. Any technical data provided that is not covered by the above provisions shall be deemed “technical data-commercial items” pursuant to DFAR section 227.7015(a). Any use, modification, reproduction, release, performance, display or disclosure of such technical data shall be governed by the terms of DFAR section 227.7015(b). 17. Force Majeure. Neither party shall have any liability for any breach of this Agreement or Service failures, including without limitation breach of any service levels associated with a Service, that is due in whole or in part to (i) an event of Force Majeure; (ii) acts or omissions by the other party or its staff, officers, agents, or contractors that are in contravention of this Agreement (e.g. deliberate self-infliction, including deliberate downloading of viruses); or (iii) acts or omissions of any third parties not under a party’s control. “Force Majeure” means any interruption, inability to access, delay or other failure, or for any resulting loss or damage, due to causes outside of the party’s reasonable control, including fire, explosion, power blackout, earthquake, flood, severe storms, strike, embargo, labor disputes, acts of civil or military authority, war, terrorism, acts of God, acts or omissions of third party hosting services and internet carriers (or other problems inherent in the use of the internet or electronic communications), acts or omissions of regulatory or governmental agencies, or other such causes beyond either party’s reasonable control. 18. Miscellaneous. The disclaimers, exclusions and limitations of liability set forth in this Agreement form an essential basis of the bargain between Infoblox and Customer, and, absent any of such disclaimers, exclusions or limitations of liability, the provisions of this Agreement, including, without limitation, fees, would be substantially different. All notices under this Agreement shall be in writing, and may be delivered to Customer by email to the address(es) associated with Customer’s account, or to either party by recognized international courier service with confirmation of delivery to Infoblox at the address below or to Customer at the address included in Customer’s account information. Neither party may assign any obligation or benefit under this Agreement without the written consent of the other party and any attempt to do so shall be void; provided, however, that either party may assign this Agreement without consent to a corporate affiliate (controlling, controlled by or under common control with the party) or to an acquirer of all or substantially all of the party’s equity, assets or business. The failure of either party to enforce its rights under this Agreement at any time for any period shall not be construed as a waiver of such rights. These terms, any Additional Terms and other policies and terms posted by Infoblox in connection with CSP and the applicable Service constitute the entire agreement between Infoblox and Customer with respect to use of CSP, Software, Services and Licensed Data. The formation, construction and interpretation of this Agreement will be controlled by the laws of the State of California as if made between California residents entered into and to be performed within California, and giving no effect to its choice of law provisions. The U.N. Convention of Contracts for the International Sale of Goods is expressly excluded from any interpretation of this Agreement. Any dispute relating to this Agreement will be subject to the exclusive jurisdiction of the state and federal courts in Santa Clara County, California, U.S.A., and the parties agree to submit to the personal and exclusive jurisdiction and venue of these courts. If any provision of this license is held to be unlawful, void or for any reason unenforceable, that provision will be deemed severable from this Agreement and may be stricken or amended to most nearly achieve the party’s original intent without affecting the validity and enforceability of the remaining provisions. 19. Contact. For any questions, Infoblox may be contacted at (408) 986-4000, fax (408) 986-4001, or by writing: Infoblox Inc., 3111 Coronado Drive, Santa Clara, CA 95054 USA. https://www.infoblox.com. These Additional Terms supplement and are incorporated in the Infoblox Cloud Services Platform Terms and Conditions (the “Agreement”) with respect to the Infoblox ActiveTrust® Cloud Service (the “Service”). BY ACCESSING OR USING THE SERVICE, CUSTOMER AGREES TO BE BOUND BY THESE ADDITIONAL TERMS AND THE AGREEMENT. All use of the Service is subject to the Agreement, including these Additional Terms. In the event of a conflict between the Infoblox Cloud Services Platform Terms and Conditions and these Additional Terms, these Additional Terms shall control only with respect to the Service described below. These Additional Terms may be modified, supplemented or updated by Infoblox from time to time; Infoblox will post a notification on the Cloud Services Portal in the event of a change to these Additional Terms. Customer’s renewal of the Service after posting of the revision constitutes Customer’s acceptance of the revision with respect to the Service. The Service is available in Standard and Plus levels. Infoblox will make available to Customer the level of Service that Customer has purchased, as indicated on a purchase order accepted by Infoblox. Datasheets describing each level of Service and related benefits are available at https://www.infoblox.com/products/activetrust-cloud/. Any terms not defined in the Additional Terms will have the meaning set forth in the Agreement. 1. LICENSE GRANT. Subject to the terms of this Agreement, Infoblox grants to Customer during the Subscription Term the right to access and use the Service in accordance with the online help files and other content relating to use of the Service published by Infoblox (the “Documentation”), solely for Customer’s internal use to protect Customer’s own networks, which includes use by Customer Users. Infoblox reserves the right to modify the features, functionality and other aspects of the Service from time to time, provided that Infoblox will not modify the Service in a manner that would have a significant adverse affect on Customer’s use of the Service without providing reasonable advance notice to Customer. This Agreement shall also apply to any such new features, functionality updates, changes or updates to the Service. Infoblox also makes available client software for download by Customer without charge in connection with the Service (the “Client Software”). Infoblox grants Customer the right to download, install, copy and use the Client Software (including distribution to Customer Users), only as necessary for access and use of the Service in accordance with the Documentation. All rights and licenses granted herein are non-exclusive and, except as permitted herein, non-assignable and non-sublicensable. Customer agrees that Customer will ensure and remain responsible for Customer Users’ compliance with the terms and restrictions of this Agreement. 2. RESTRICTIONS. Customer agrees that Customer will ensure and remain responsible for Customer Users’ compliance with the Agreement. No part of the Service or Client Software or any data available as part of or derived from the Service, may be downloaded or otherwise exported or re-exported (a) into any country for which the United States has a trade embargo (currently including, but not necessarily limited to, Cuba, Iran, North Korea, Sudan, Syria and Crimea), or (b) to anyone on the U.S. Treasury Department’s list of Specially Designated Nationals or the U.S. Commerce Department’s Table of Denial Orders. Customer represents and warrants that neither it nor any of its affiliates making use of the Service or Client Software is located in, under the control of, or a national or resident of any such country or on any such list. In the event of any violation of this Section 2, Infoblox may immediately terminate this Agreement, and shall be entitled to equitable relief in accordance with Section 7 below. 3. FEES. Fees for the Service are due annually in advance. Infoblox may change or increase fees for the Service with respect to any renewal term by providing at least 60 days prior written notice (including email to Customer’s account contact) of such change. Infoblox may suspend or cancel Customer’s access to the Service upon 30 days written notice if Customer fails to make timely payment for the initial term or any renewal term. 4. SERVICE LEVELS AND SUPPORT. Infoblox will use commercially reasonable efforts to provide the Service in accordance with the availability service levels set forth in Exhibit A-1. Infoblox will provide support for the Service to Customer during the Subscription Term in accordance with the support services set forth in Exhibit A-2 and the support guidelines set forth in the Documentation. Except for the service level remedies set forth in Exhibit A-1, Infoblox does not guarantee or warrant that the Service or support for the Service will be available for any particular time or during any particular period. Infoblox will not be liable for any unavailability or latency caused by third party hosting services or internet carriers or other problems inherent in the use of the internet or electronic communications. 5. CUSTOMER INFORMATION; INFOBLOX RESPONSIBILITIES. Infoblox will take commercially reasonable security measures to protect the confidentiality and security of Customer’s web traffic and network data, including DNS queries, malicious domain names, malware, botnets, metadata or other information related to Customer’s use of the Service (“Customer Information”). Infoblox may use third party hosting services to provide the Service. Infoblox and its hosting service providers have implemented commercially reasonable, industry-standard technical and organizational measures designed to secure Customer Information from accidental loss and from unauthorized access, use, alteration or disclosure. 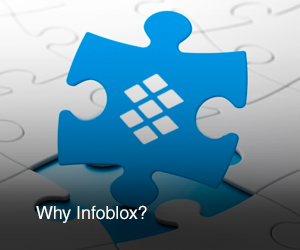 In order to provide the Service, Customer agrees that Infoblox shall have the right to use, reproduce, transmit, store, modify, and display the Customer Information, and to permit Infoblox’s hosting service providers to exercise such rights as necessary to provide services to Infoblox in support of the Service. Provided Customer’s organization is not identified and no personally identifiable information from Customer is disclosed, Customer agrees that Infoblox may also utilize Customer Information for purposes of: (i) maintaining, improving, supplementing and/or analyzing services and threat data; (ii) making content and information relating to malicious domains and other threats available to Infoblox’s affiliates and licensors for the purpose of further developing and enhancing services and threat data; and (iii) analyzing, aggregating, sharing and reporting statistics derived from use of the Service. Customer Information will normally be retained by Infoblox for rolling periods of at least 6 months during the Subscription Term, however Infoblox will delete Customer Information upon written direction from Customer. Infoblox may disclose Customer Information as required by law or court order provided Infoblox reasonably notifies Customer in writing of the requirement for disclosure, unless such notice is prohibited by law. Infoblox reserves the right to suspend Service to Customer in the event Customer’s use of the Service represents an imminent threat to Infoblox’s network, or if so directed by a court or legal authority. In such cases, Infoblox will endeavor to promptly contact Customer and give Customer the opportunity to change the configuration of its server(s) accordingly. 6. CUSTOMER RESPONSIBILITIES. Fees for the Service do not include any equipment or software (other than Client Software) which may be required to access or utilize the Service, or any ancillary third party services needed by Customer to connect to or access the Service (such as an internet access connection), all of which shall be Customer’s sole responsibility. Customer is solely responsible for its activities in connection with the Service, including without limitation the activities of Customer Users. In order for Infoblox to provide the Service, Customer may be required to provide Infoblox technical data and other information Infoblox may reasonably request. Customer is responsible for (i) properly configuring the Service and Client Software in accordance with the Documentation and (ii) using the Service and Client Software solely for lawful purposes and in compliance with all applicable laws and regulations. 7. TERM OF SERVICE; TERMINATION. The start date for the Service will be the date on which Infoblox sends notice to Customer that the Service is available for activation by Customer and provides any necessary license or access codes, and will continue for the Subscription Term. Infoblox may elect to discontinue the Service, effective at the expiration of a Subscription Term. At least 60 days prior to the end of the Service period purchased, Infoblox will notify Customer of the Subscription Term expiration date and applicable renewal fees. Unless otherwise agreed to in writing between Infoblox and Customer, at the end of each Subscription Term, the Service shall automatically renew for additional periods of one year (each a “Renewal Term”) at the fees stated in the expiration notice unless Customer sends notice of non-renewal to the address specified in the expiration notice; notice of non-renewal must be delivered prior to the expiration of the Subscription Term. Customer agrees that it will be invoiced for and pay such fees for each Renewal Term unless it provides notice of non-renewal as required in the previous sentence. Customer may be invoiced by Infoblox or by the Infoblox reseller from whom Customer ordered the prior Subscription Term. This Agreement will remain effective during the Subscription Term. Notwithstanding the foregoing, these Additional Terms and the Service may be terminated by either party if the other party materially breaches its obligations under these Additional Terms and fails to cure such breach within 30 days following written notice to such party. Additionally, Infoblox may terminate these Additional Terms and the Service upon 30 days written notice in the event of past due payment if Customer does not make payment in full during the notice period. For a period of 30 days after termination, Customer may retrieve Customer Information stored by Infoblox in connection with the Service; after such time Infoblox may disable access to and delete the Customer Information. The provisions of these Additional Terms which by their nature should survive termination, shall survive the expiration or termination of these Additional Terms. 8. INDEMNIFICATION. Infoblox will indemnify and hold Customer harmless, from and against any claim against Customer by reason of Customer’s use of the Service or Client Software as permitted hereunder, brought by a third party alleging that the Service infringes or misappropriates a third party’s valid patent, copyright, trademark or trade secret (a “Claim”). Infoblox shall, at its expense, defend such Claim and pay damages finally awarded against Customer in connection therewith, including the reasonable fees and expenses of the attorneys engaged by Infoblox for such defense, provided that (a) Customer promptly notifies Infoblox of the threat or notice of such Claim; (b) Infoblox will have the sole and exclusive control and authority to defend and/or settle any such Claim (provided any such settlement does not admit any wrongdoing by Customer or impose any obligations on Customer); and (c) Customer reasonably cooperates with Infoblox in connection therewith, at Infoblox’s expense. If use of the Service or Client Software by Customer has become, or in Infoblox’s opinion is likely to become, the subject of any such Claim, Infoblox may at its option and expense (a) procure for Customer the right to continue using the Service or Client Software as set forth hereunder; (b) replace or modify the Service or Client Software to make it non-infringing; or (c) if options (a) or (b) are not commercially and reasonably practicable as determined by Infoblox, terminate Customer’s subscription to the Service and refund Customer, on a pro-rated basis, any pre-paid subscription fees for the corresponding unused portion of the Subscription Term. Infoblox will have no liability or obligation under this Section with respect to any Claim if such claim is caused in whole or in part by (i) compliance with designs, data, instructions or specifications provided by Customer which are not part of the standard Service; (ii) modification of the Service or Client Software by anyone other than Infoblox; or (iii) the combination, operation or use of the Service or Client Software with other hardware or software not provided by Infoblox where the Claim relates to such combination. The provisions of this Section 8 state the sole, exclusive and entire liability of Infoblox to Customer and constitute Customer’s sole remedy with respect to a Claim brought by Customer relating to the Service and Client Software. 9. DATA; TRANSFER. Customer represents and warrants that in connection with the Service, Customer will not transmit or upload any (a) protected health information (as that term is used in HIPAA), (b) nonpublic personal information (as that term is used in the Gramm-Leach-Bliley Act), (c) payment card data (as regulated by the Payment Card Industry Security Standards Council) or (d) personal information or data (as such terms are used in state breach notification laws or European Union privacy directives or other similar legislation). Infoblox reserves the right to manage bandwidth or route traffic across the Internet in a commercially optimal way. Customer acknowledges that the Service makes use of redundant systems located in multiple countries, and in the course of providing the Service to Customer, data provided by Customer may be transferred between and stored in multiple jurisdictions globally. 1.1	“Service Credit” means an extension of the Service Subscription Term by the number of days set forth in Section 2 below for failing to meet the stated availability levels for serving DNS queries. Service Credits shall be Customer’s sole and exclusive remedy for Service availability failures. In order to be eligible for a Service Credit, Customer must (i) be current on fees due for the Service, and (ii) request a Service Credit via a support ticket submitted to Infoblox Support within 10 business days after the outage giving rise to the Service Credit. Requests for Service Credits must include a description of the outage with dates and times of unavailability. For each request submitted by Customer, Infoblox will research the incident(s) to determine if the availability was not met in accordance with the requirements below, and provide a response to Customer no later than 10 business days after the end of the month in which the request occurred. Failure by Customer to comply with these requirements will result in forfeiture of Customer’s right to receive a Service Credit for the incident. 1.2	In order for the stated availability to apply, Customer’s network must be properly configured on a 24 X 7 X 365 basis in accordance with the Documentation and in a manner that allows Customer to take advantage of Infoblox’s redundant global infrastructure made available as part of the Service. 3. Maximum Service Credits. The aggregate maximum Service Credits that Infoblox will issue for failing to meet Service availability during any 12 month Subscription Term will not exceed 30 calendar days’ worth of the Service. 4. Exclusions. The availability metrics above do not apply to (and calculations of availability exclude) any: (a) services or features designated by lnfoblox as pre-release, alpha, beta or similar non-GA designation, (b) aspects or functionality of the Service other than those required for serving DNS queries, (c) periods of unavailability or latency caused by third party hosting services or internet carriers, or (d) errors (i) caused by factors outside of Infoblox’s reasonable control, including any force majeure event, denial-of-service attack or Internet access or related problems beyond the demarcation point of the Service; (ii) that resulted from any actions or inactions of Customer or any third party; (iii) that resulted from Customer’s equipment, software or other technology and/or third party equipment, software or other technology (other than third party equipment within Infoblox’s direct control); (iv) arising from the suspension and termination of Customer’s right to use the Service in accordance with the Agreement; or (v) that resulted from exceeding usage limits/quotas applied by the system and/or listed in the Documentation. Infoblox reserves the right to fully investigate any claim of unavailability and Service Credit request prior to issuing a Service Credit in accordance with this Exhibit A. Elite: Within 15 min Infoblox and Customer will commit necessary resources to resolve issue or obtain a workaround. Elite: Within 1 business hour Infoblox and Customer will commit resources during normal business hours to resolve issue or obtain workaround. 3 Moderate to negligible impact to Service. No impact to business. Within 8 business hours Infoblox and Customer will commit necessary resources during normal business hours to restore operation to satisfactory levels. 4 Request for information, documentation issues, and enhancement requests. Within 1 business day Request-dependent. Infoblox will provide the Support in a professional manner using qualified personnel, but Infoblox does not guarantee that every issue or problem will be resolved. Infoblox’s obligation to provide Support does not include services requested as a result of causes or errors which are not attributable to Infoblox. If, upon investigating the cause of the reported issue, Infoblox determines that there is a defect in the Service, Infoblox will provide a remedy in the form of a workaround or fix. It is Customer’s obligation to provide the support information necessary to understand, reproduce and resolve the incident, which may include log files, configuration files and/or error messages.